The smooth functioning of this handy piece of equipment is used for precise coil winding. This machine is compact, durable, and provides highly accurate results. It can be used specifically for prototypes in fans, generators, automobile starters, etc. Generally, their applications span several heavy industries and schools. 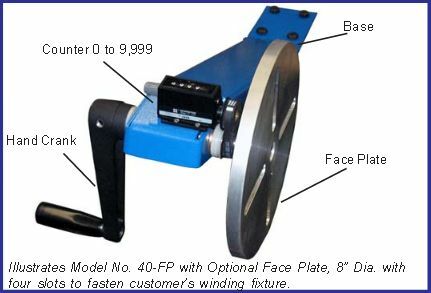 Highlight: Bench-type Hand Coil Winder (Model No. 40) specifically for PROTOTYPING! The bar that supports the winding fixture features slots. These slots can be adjusted according to the application. 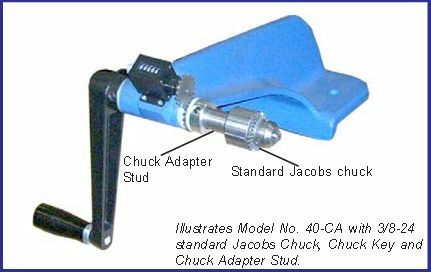 The adjustable length varies from 2-1/4″ to 7-1/2″. 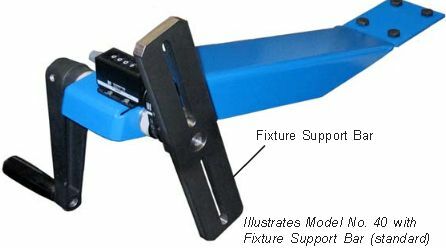 The winding fixture is mounted on the support bar. The length of the bar is adjusted according to the winding requirement. This set-up allows for manual operation. 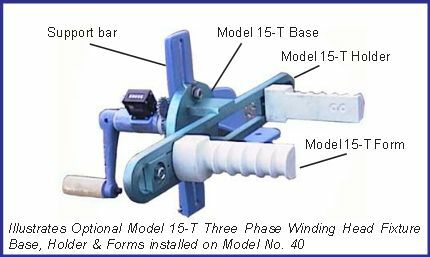 A typical operation consists of the winding fixture being revolved with the help of a hand crank and the wire being guided by hand. The base of the machine is manufactured using case aluminum alloy. It is constructed for quick and sturdy installation on a bench. 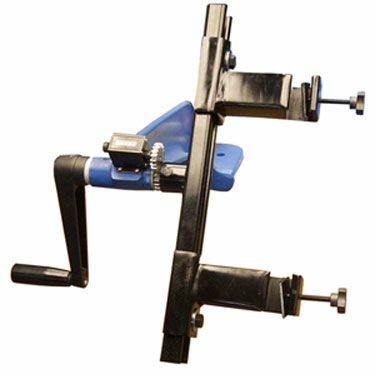 This bench-mounted coil winder is compact and can be used in conjunction with wooden or metal benches. The mechanical counter is driven by a rotary gear. The counter has a maximum count capacity of 99,999, after which it can be quickly reset. For winding variations, optional single and three phase winding heads are available.